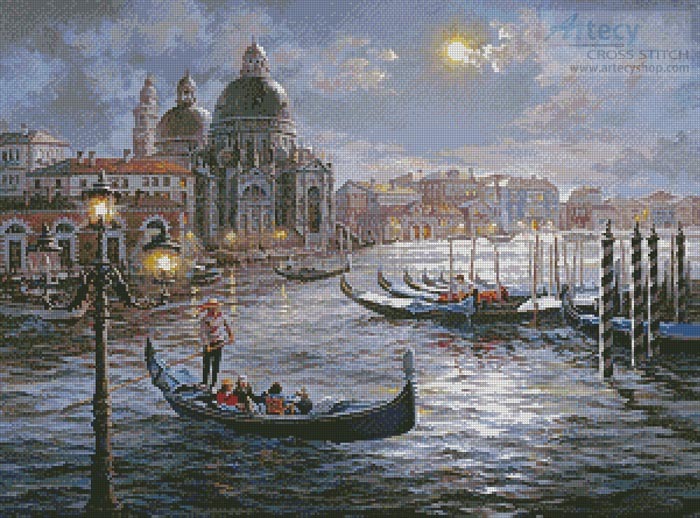 Grand Canal Venice Painting Cross Stitch Pattern to print online. This counted cross stitch pattern of the Grand Canal in Venice was created from the beautiful artwork of Nicky Boehme. Image copyright of Nicky Boehme/ Art Licensing Int'l.